Whenever you are searching for some assistance with Boulder gutter installation, it is understandable that you may be rather concerned as to how much everything is going to cost. For most people, they have never had any experience of dealing with this kind of problem before, and as each job has to be done individually, then finding an example of the potential price is not as easy as it seems. However, thanks to our help, you will be put back into the driving seat when it comes to the price of having new gutters installed, or those old ones repaired and put back into fine working order. Our experience means we are capable of handling any job that you can imagine, and we are fully confident that we will be able to provide you with the perfect solution that fits in perfectly with your budget and requirements. 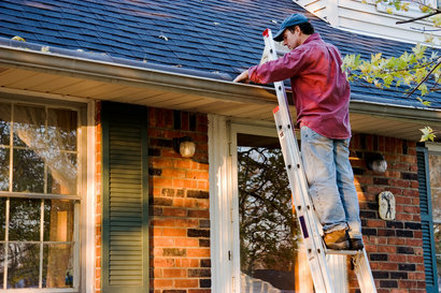 Installing gutters will certainly be a job that is intended for professionals only. There are just too many areas where something can go wrong that would ultimately lead to you potentially causing more damage to your home than you thought possible. Thanks to the experience that our team has in dealing with gutter installations, you can rest assured that we can tackle any eventuality that you care to imagine and will do so to the highest possible standards. Furthermore, you will quickly realize that you are in safe hands as our installation team are not only trained in every aspect, but they are also kept up to date with the new advances in technology and products connected to this particular part of the industry. That means we are at the forefront of any changes and it is our clients that then benefit from our level of knowledge which really is second to none. In addition, we know that you may be concerned about the price connected to this line of work, but that is where we will always seek to put your mind at ease as much as possible. We do not believe in just trying to charge as much as we can and nor do we have any hidden surprises that are just awaiting you around the corner. Instead, we prefer to be completely open about the costs involved along with assuring you that while we use quality products, we do not charge you the earth. So, stop thinking that gutter installation is going to prove to be a difficult thing to achieve because that is not going to be the case. Instead, you can simplify matter by going ahead and giving us a call to see how we can help. After getting in touch, we will come to your place of residence to look at the job in question and then advise you on how we proceed from there on. We look forward to helping you.